Vincent Rossetti, a Saint Rose history and political science major, spent his final semester as an intern in the New York State Assembly. He worked in a legislative office and devoted his capstone research paper to the push to legalize marijuana for medical use. In it, he noted that the decades-old effort was picking up steam and that the arguments had shifted from largely partisan to a data-driven debate on feasibility and safety. Rossetti was among eight of the 122 interns whose work was recognized as a Distinguished Intern Report. The honored papers are highly regarded academic works bound in journals housed at the Assembly. (Caption) From Saint Rose intern to legislative aide: Assembly member Kevin Cahill, D-103, greets Saint Rose intern Vincent Rossetti ’14 in the Assembly chamber just prior to a recent legislative mock session. The next time the legislative body takes to the floor, Rossetti will be there as a member of Cahill’s staff. Still, Rossetti, like many, many observers of the proceedings, was somewhat surprised the medical marijuana measure passed last month, after the state Senate approved it. “I wasn’t sure it would get to the Senate floor,” he said. 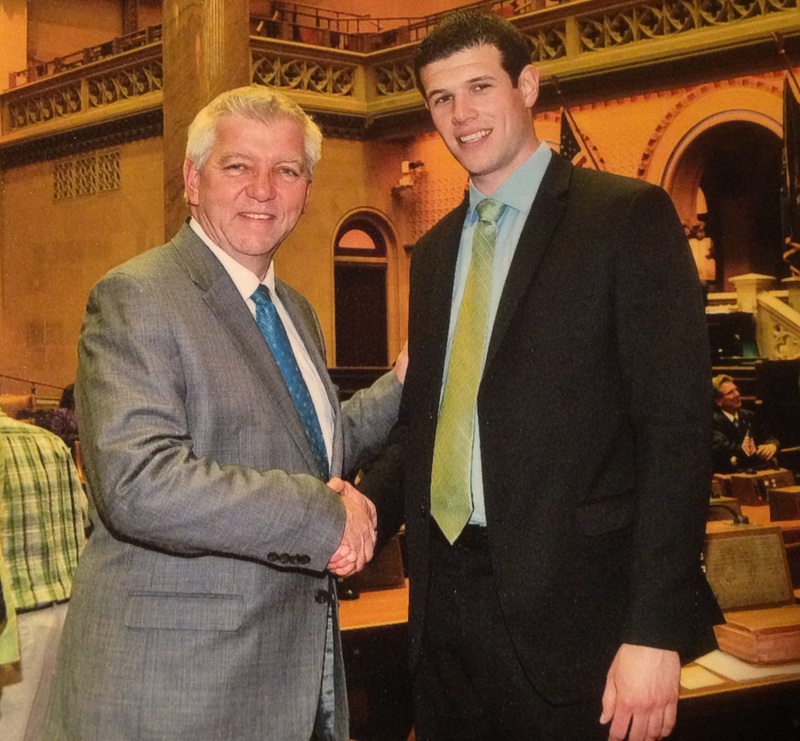 A Dutchess County native, he was assigned to work for Assembly member Kevin Cahill, who represents his own hometown. Rossetti handled correspondence, met with constituents and ran meetings of the Insurance Committee, which Cahill chairs. Inspired by policy making, he hopes someday to go to law school and even run for the Assembly. ← The Post Grad Feels.